8 – Remote Thermal Sight: On this occasion, the Abrams Squad team takes care of an easy to build and inexpensive kit. 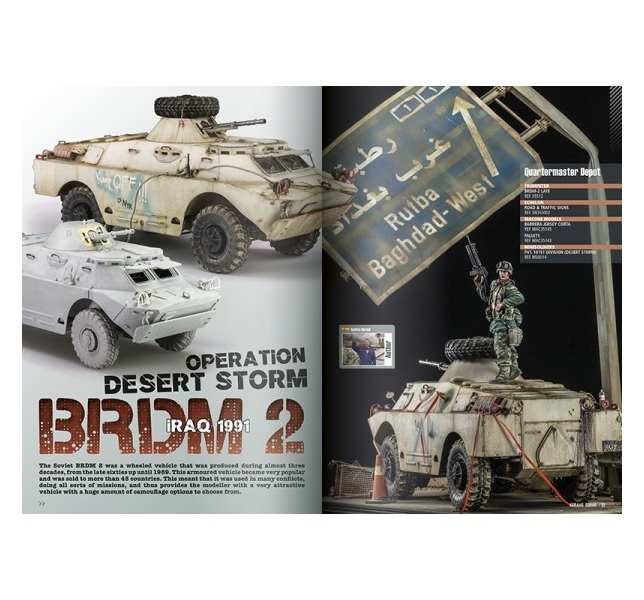 A very interesting model of a MBT normally not seen in collections outside of Korea, but it really is worth it. 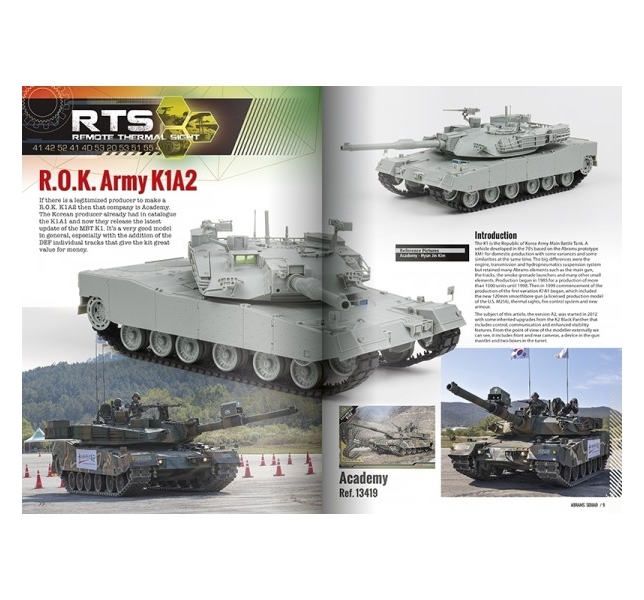 The Academy’s K1A2 is one of those models that should not be missed from any respected collection of modern AFV’s. 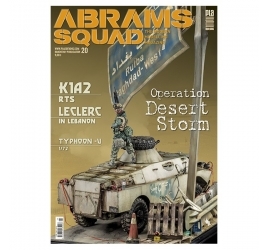 20 – BRDM 2 - Operation Desert Storm, Iraq 1991: Andrés Bernal debuts in Abrams Squad with a wonderful vignette that he knows how to achieve. 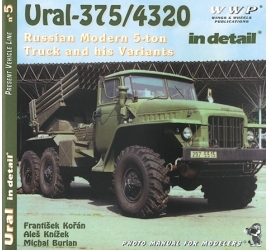 This experienced Spanish modeller tells you how to complete a great model with old school methods, without stridency. Everything is like it is supposed to be. A guide that can be followed! 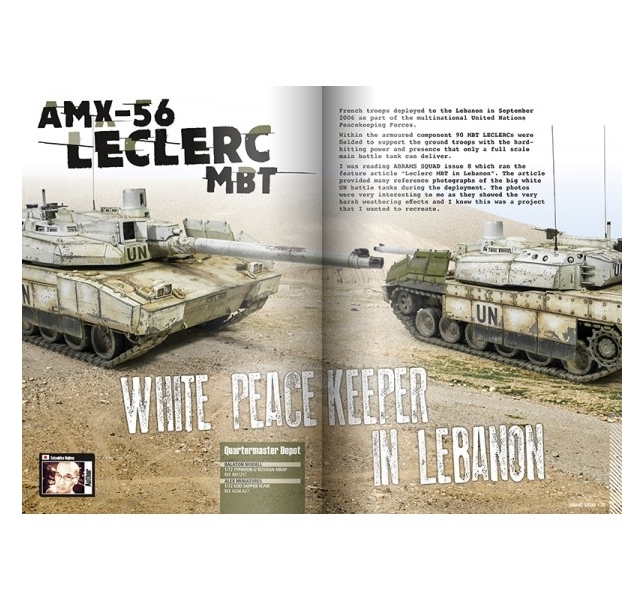 32 – AMX-56 LECLERC MBT - White Peacekeeper In Lebanon: According to gossip, Japanese modellers have a lot of imagination but are lacking in good technique. Please read this article and you’ll change your opinion. Tetsuhiko Nojima, inspired in an article published of this same magazine, builds and paints a Leclerc as only few modellers know how to do. 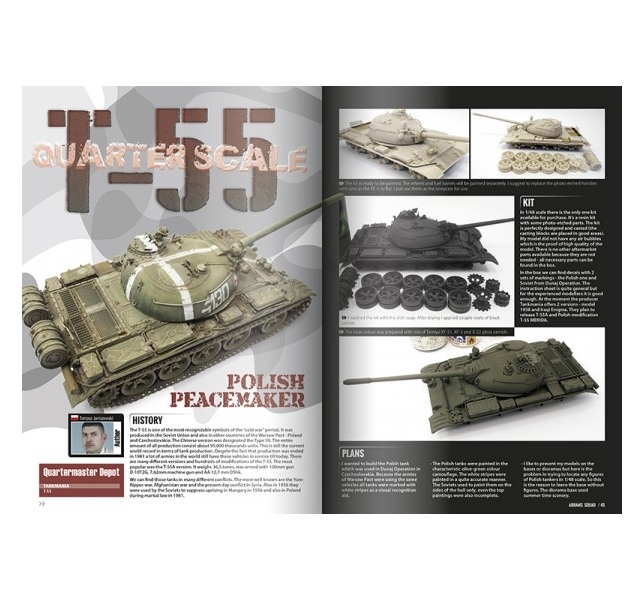 44 – T-55 - Polish Peacemaker: Tomasz Janiszewski brings us a different kit from a recurrent subject: a T-55 in que quarter scale. 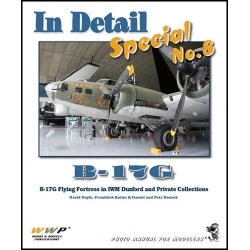 He focus the article on the painting and weathering finish, following the method of colour modulation. 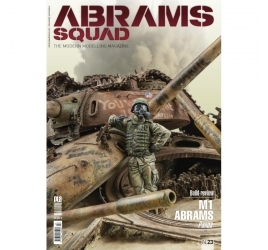 50 - Multicam - American Army Camouflage 2010-2017: A Six pages graphic report where we show you the new camouflage used in the US Army uniforms with spectacular pictures. 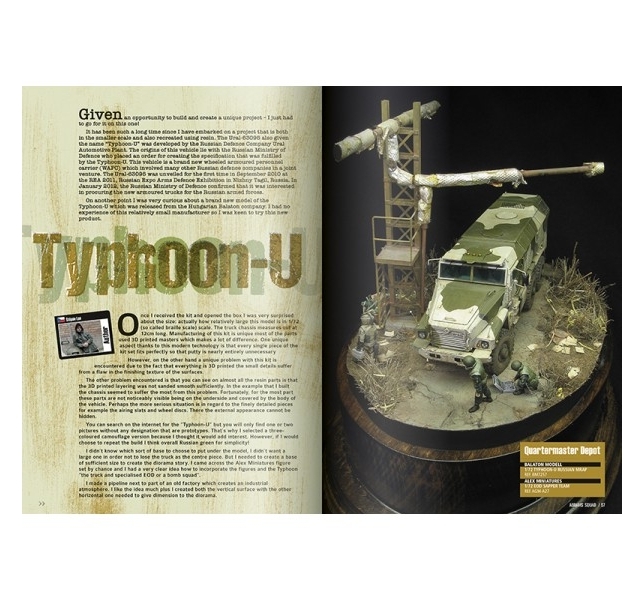 56 - Typhoon-U: MRAP’s are so popular between modellers from all the world. 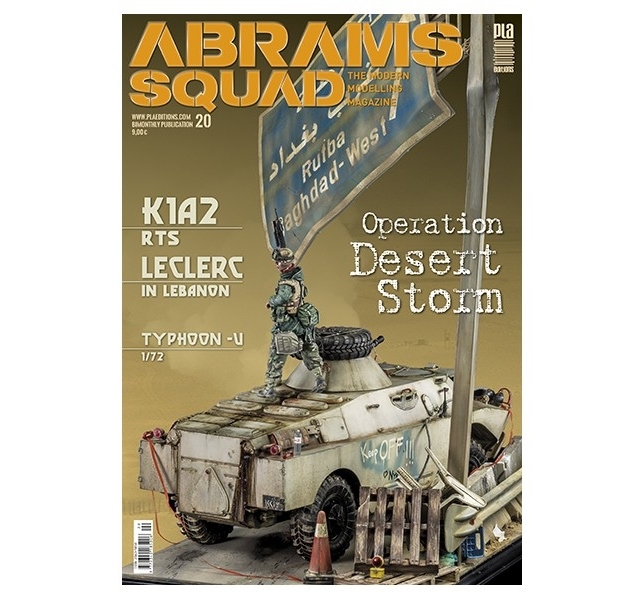 Štěpán Los is one of the best modellers in 1/72 and bring us one complete article: building, extra detailing, painting, setting and figure painting. Another masterpiece! 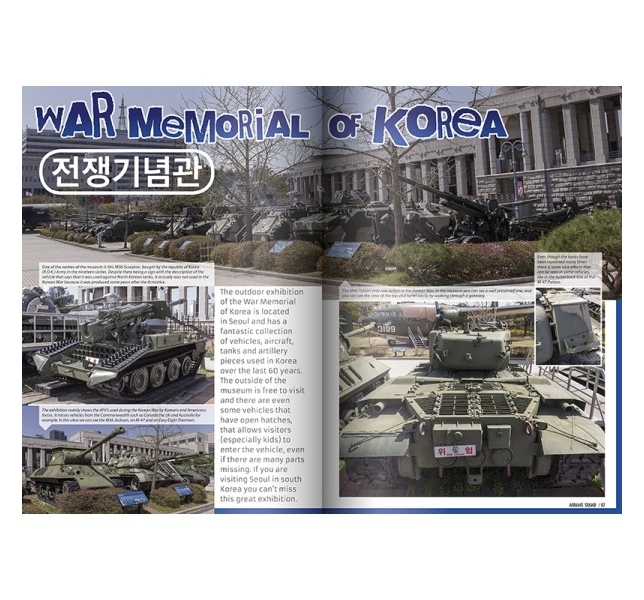 66 - War Memorial of Korea: More references and ideas for your next builds. The Korean museum if full of great vehicles and aircraft. 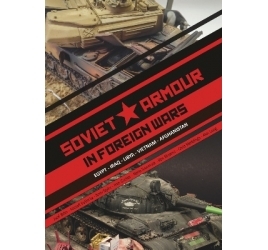 There are some unique tanks and very well conserved pieces.